Food plating is a simple concept portrayed in a much more difficult way, it is the art of layering food to create a more aesthetically pleasing view . The same as you would style your hair a specific way or your clothes a specific way to cater to specific audiences. Food is styled and arranged to please the eye and add value to the dining experience, and provides room for a higher mark-up on your food. You will mostly see food styling or food plating in high-end restaurants. Here are the basic tools you need for food plating. Also for hygenic reasons, these are used to handle the food and garnishes, to place everything in a specific way. Brushes are used maonly for glazes and sauces to splatter them in a specific way. A specific spoon with a pointed, dipped end to drizzle on glazes. 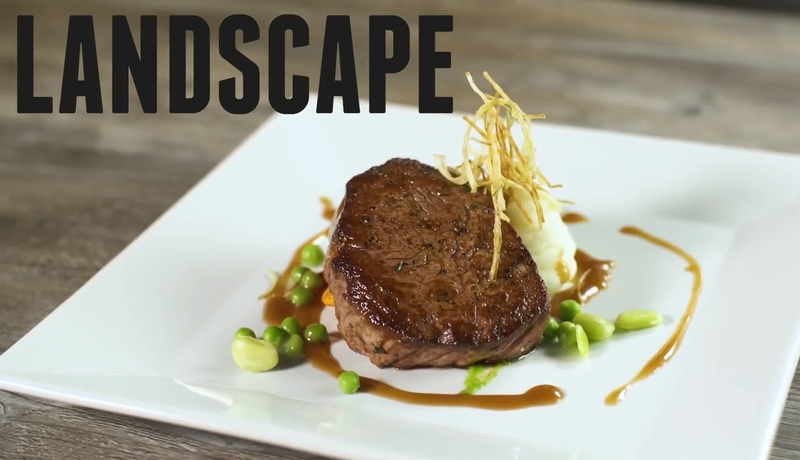 Now we know what to use, let’s run through 3 basic plating techniques. A simple yet affective way to plate your food,seperate the plate into 1/2 by protein and 1/4 each of starch and vegetables. -Finish off with a glaze drizzled on top, but be careful not to cover the garnish too much. -Finish with a glaze and garnish,making sure that the garnish is evenly spread across the plate. Landscape style is the most commonly used style as it has the most simple concept.